Enjoy shopping for a selection of books that highlight the Hakomi Mindful Somatic Psychotherapy method. 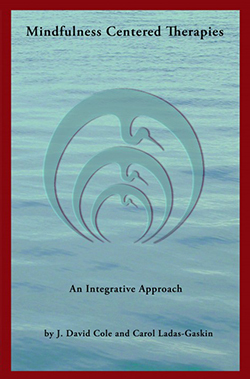 Hakomi teachings offer a comprehensive and highly effective approach to human change. 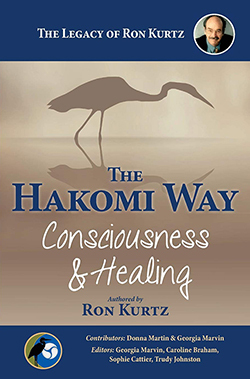 Hakomi combines mindfulness, unique and powerful somatic techniques, and a focus on present experience to access and transform deeply held, life-limiting core beliefs. Mindfulness Centered Therapies by David Cole and Carol Ladas-Gaskin is a practical guide and resource for therapists to use as they explore ways to integrate mindfulness into their counseling and psychotherapy practices. This well-written book describes the core skills and concepts of the method called Mindfulness Centered Therapies (MCT). It is abundantly illustrated with transcripts taken from client/therapist dialogues. It also includes an extensive bibliography on mindfulness and psychotherapy as an aid to further exploration. Carol Ladas-Gaskin is a Hakomi certified therapist, teacher, and trainer. She is the author of Instant Stress Relief, co-author of Mindfulness Centered Therapies, an integrated approach and first place winner in Poetry in the Pacific Northwest Writers Association annual literary competition (2000). Her individual poems have been published in many anthologies. Hakomi is an integrative method that combines Western psychology and body-centered techniques with mindfulness principles from Eastern psychology. 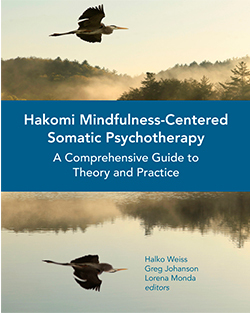 This book, written and edited by members of the Hakomi Institute― the world’s leading professional training program for Hakomi practitioners―and by practitioners and teachers from across the globe, introduces all the processes and practices that therapists need in order to begin to use this method with clients. Ron Kurtz was the originator of the Hakomi Method and a preeminent innovator and influence in mindfulness-based somatic psychotherapy. As the originator, he was the final authority on Hakomi. His teachings and materials, hard drives and videos were widely and freely distributed in order for as many people to have access to Hakomi as possible. Some of Ron’s legacy materials are available at www.Hakomi.com. Seven years since his death, five of his trainers have collaborated to produce a new version of his teaching manual, one that retains the vitality and authenticity of his voice but one that also matches the pedagogy and curriculum of the Hakomi Education Network training teams.